Lumps as a result of extrusion set ups. The lumps are melt blocks of polymer. A mixture of polymer powder. This is the direct result of the polymerisation process, before sending to the extrusion unit. 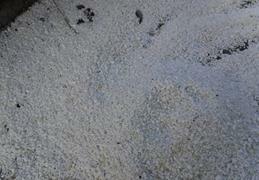 Mixture of off spec polymer with some additives (30% additive, 70% polyethylene - yellow pellets). This is off spec material but already passed through the extrusion installation. Off-spec polymer is polymer that doesn’t meet the specifications that Borealis aims for its clients. This off-spec polymer is a result of production interruptions and might appear as powder (polymerisation unit), pellets or globs (extrusion unit). This off-spec material is collected in dedicated containers and might be a mixture of several grades, additives and fillers. This material can still be recuperated by a waste handler. This waste handler can sell it to manufacturers or can produce itself consumer goods with specific applications. Applications that are less demanding concerning purity and physico-chemical characteristics. Borealis has started to define Internal Polymer Specifications for this kind of mixtures, called internally ‘by-product’. This market does already exist. Recycling is general practice. Off-spec grade mixtures are sold, but is legally still considered as waste. Striving for ‘pure’ off-spec , or at least with clear specifications ,may result in better financial revenue. For a polymer plant that produces first grade 280,000 tonnes of polymer per year, an average of 500-900 ton off-spec grade is produced. This means that for the global waste figure of the plant, a reduction of 30% can be accomplished. A waste figure that won’t appear any more in the official yearly environmental reports. The main challenge is to sell the off-spec polymer product as a ‘by-product’ and as such get it accepted and bought by the waste handler who becomes a regular client. There is still the perception that secondary raw materials (end-of-waste phase) might considerably influence the qualities of some applications, compared to primary raw materials. It’s a challenge to define those consumer goods that could be manufactured using secondary raw materials without alteration of the required qualities. Most of the time the ‘by-product’ is a mixture of all kind of grades, additives (100% or one pack with 30% additive/70% polymer) and fillers. Added value would be considerably higher when all the off-spec grades would be collected separately. However, this means storage locations on-site, and supervision that raises the recycling cost. 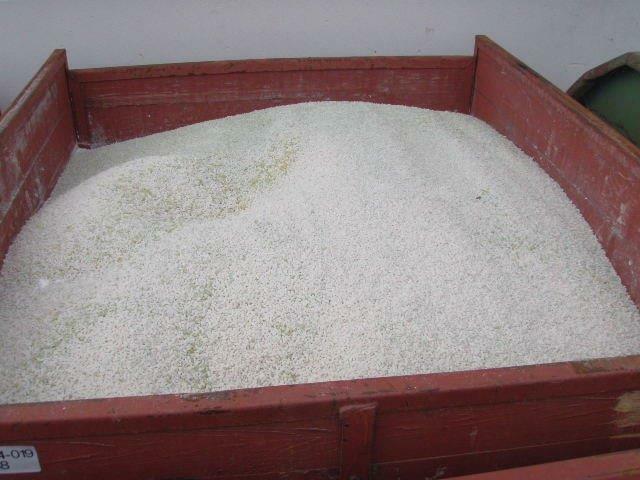 Also all kind of mitigating measures to reduce the spread of polymer pellets when collected in containers or boxes. One can pack the by-product in big bags, octabins or transport it in road tankers, but this ads a supplementary cost that reduces the benefits of the producer. Another concern is that end of waste and raw material means compliance with REACH regulation (Regulation (EC) 1907/2006). As we talk about ‘mixtures’, sometimes with several additives, resulting in unknown composition, this legislation can be an obstacle. Waste handlers are not very keen to deliver the certificate as the producer might have stronger economic beneficial demands. In the perspective of REACH, the end user of the by-product/raw material might be demanding concerning safety, environmental and health care issues. By-product producers are also faced with a complicated dossier if they take the initiative. Taking into consideration the percentage of the volumes of off-spec material compared to the primary grades, one might be reticent to start the approval trajectory. As already mentioned, Borealis has started to implement Internal Polymer Specifications for this kind of by-product. This is a first step to name the off-spec material a by-product, sold to third parties while an evaluation of the existing legislation (European, national (product quality) and regional (Vlarema and associated laws) is in progress.